Rev. 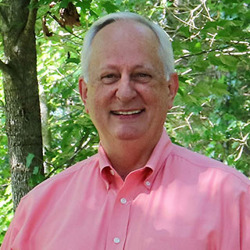 Johnson, an Elder in the United Methodist Church, earned his Masters of Divinity degree from Mid-America Baptist Theological Seminary in Memphis and a Master of Arts degree from the University of Michigan. Originally from Pine Bluff, AR, Sieg and his wife, Sherry, lived in Ann Arbor, Michigan from 1985-1995 where he pursued advanced degrees in Near Eastern Studies from the University of Michigan. Honored by Mid-America Baptist Theological Seminary as the recipient of the American Bible Society Award for Excellence in Biblical Languages, he has continued to pursue his passion for the languages and culture of biblical lands by partnering with Educational Opportunities in leading over 30 faith-based pilgrimages to the Holy Land and other places in the Middle East and Europe. Sieg has previously served St. James UMC in Little Rock, Mountain Home First UMC, Warren First UMC, Fordyce First UMC and Wesley UMC in Pine Bluff. The Johnsons have two daughters, Page and Ashley and four grandchildren: Christian, Evy, Nathan and Avery.